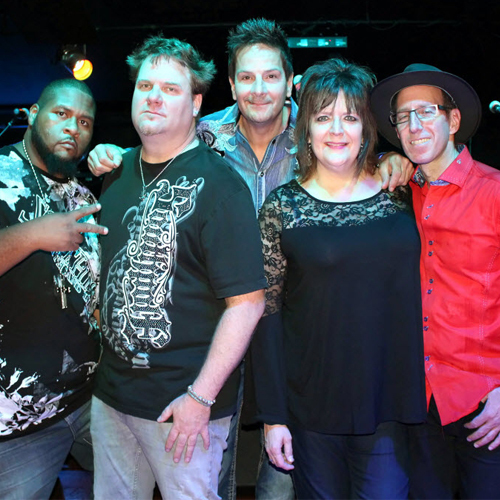 Sinjon Smith is a Detroit-based country-rock band featuring longtime area musicians, Diane Smith, Chris Wietzke, Lonnell Lewis, Marc Davis, and Bruce Shew. Formed in late 2003, Sinjon Smith's core is their long-time writing team of Wietzke and Smith, who are known for their memorable melodies and unforgettable hooks. The band gains inspiration from their love of such music greats as Led Zeppelin, Heart, Bonnie Raitt, and Shelby Lynne. Sinjon Smith prides themselves in being able to smear the line between Pop/Rock and Country, thereby using the best of both genre's to create their own unique sound. Cover is $5 after 8:00 p.m. Learn more by visiting www.SinjonSmith.com.